So how are your Christmas preparations coming along? Have you finished your shopping? How about your cards and any gifts that you are making? My shopping is pretty much completed, still have wrapping to do. Cards are done and mailed. And only one gift left to make and that's my Mom's. Starting that today! As mentioned yesterday, I have some more homemade cards to share with you today. This first beautiful card was from my friend Nicole Keef. 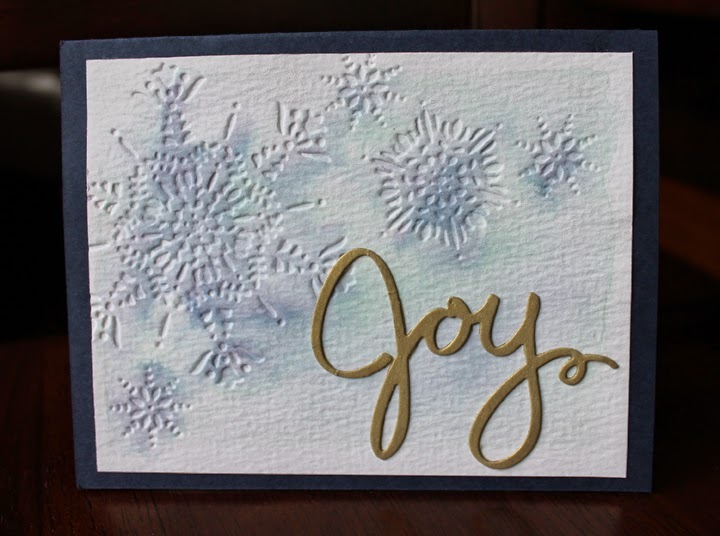 She embossed watercolor paper with the Northern Flurry embossing folder and then added some water coloring over top for a bit of color. Love it! And this next one was from Marj Hughes. 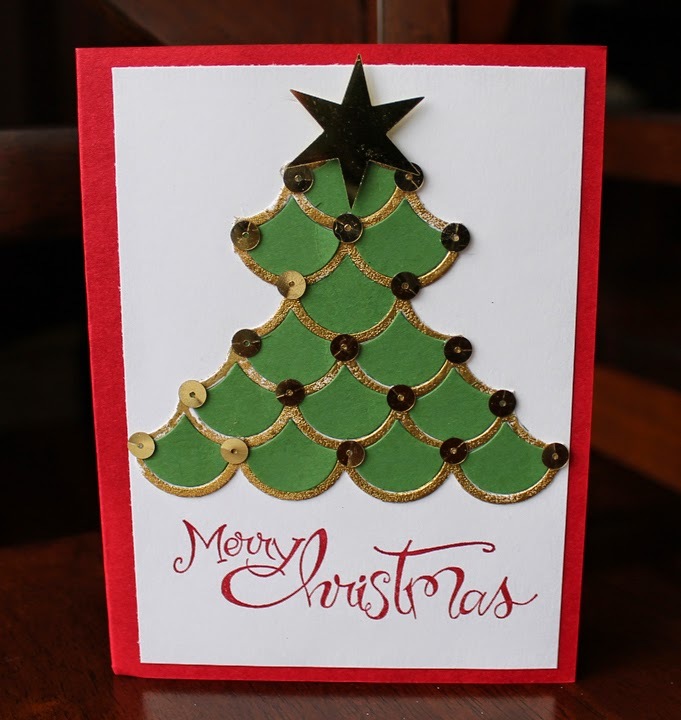 Love the way she used the Striped Scallop thinlit to create a Christmas tree!